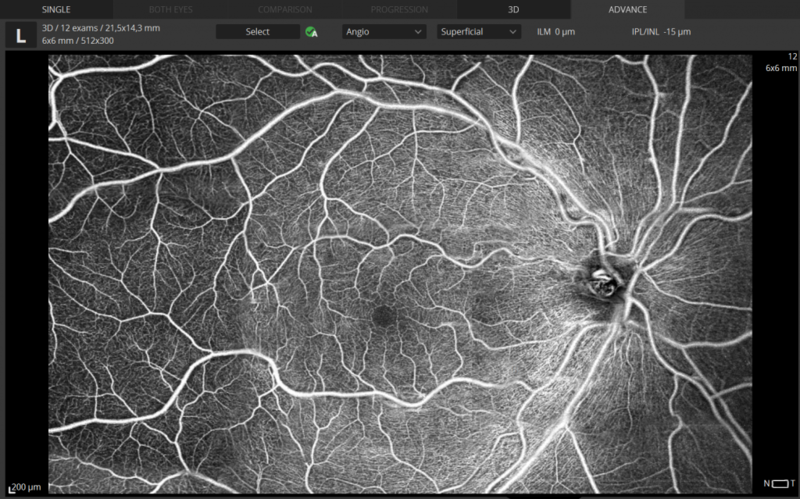 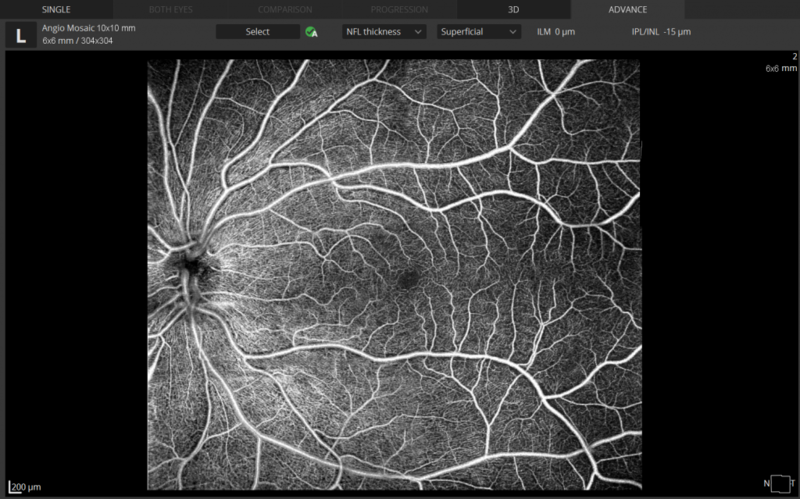 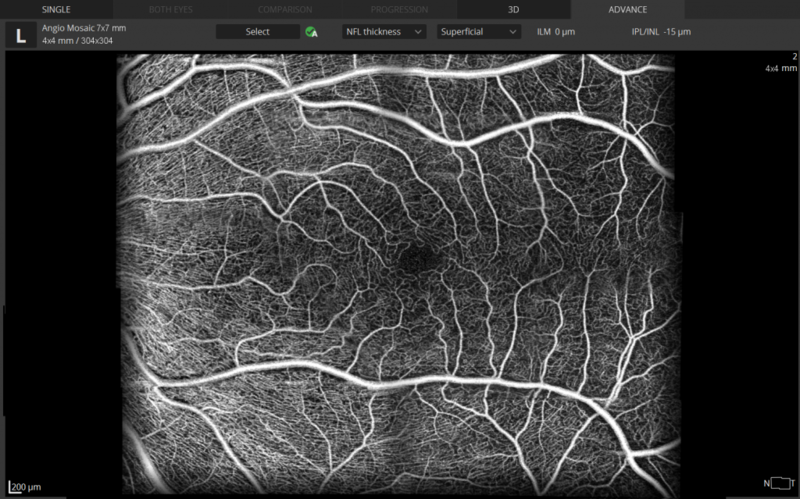 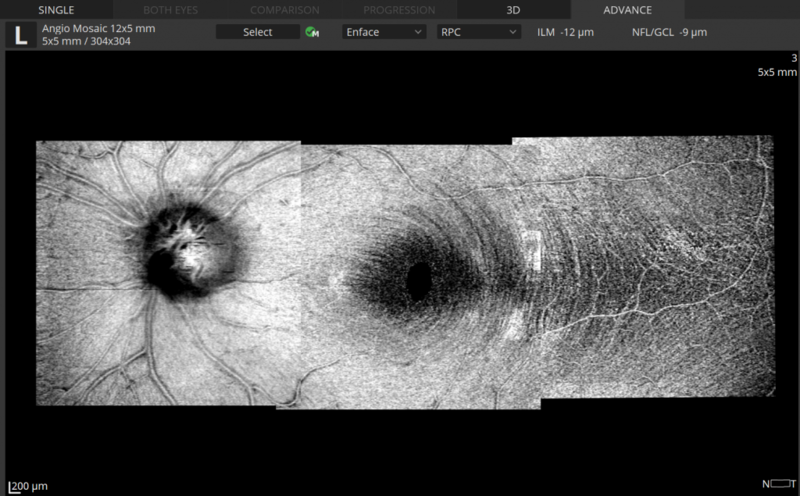 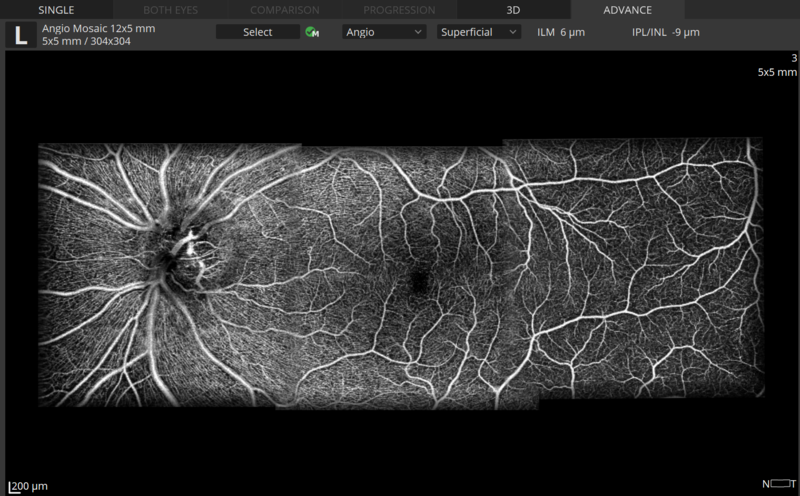 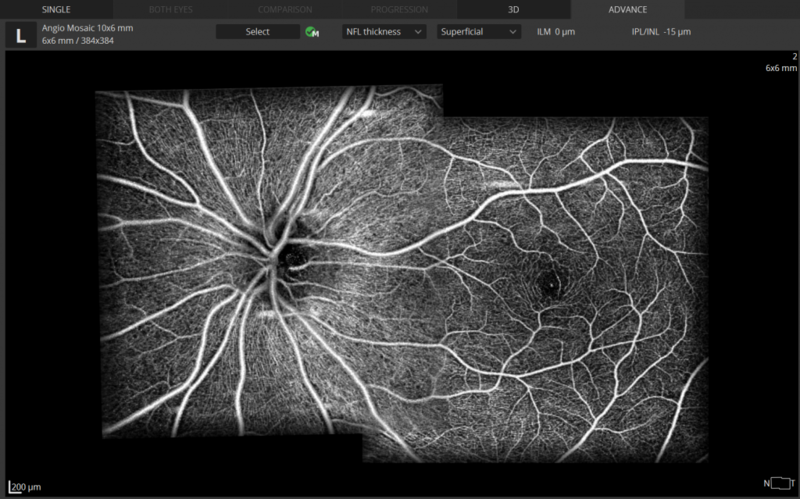 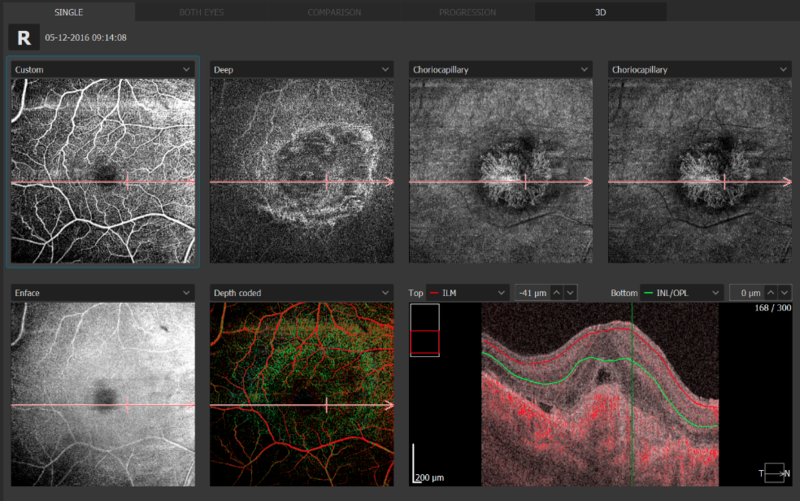 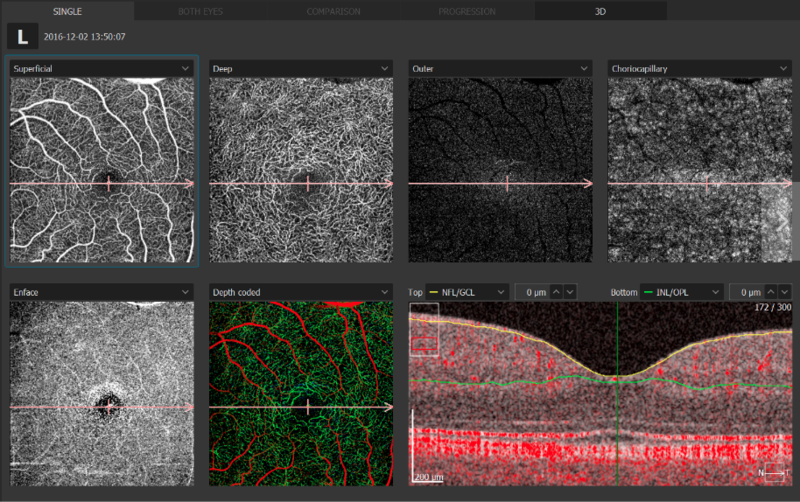 This module allows visualization of the retinal microvasculature. 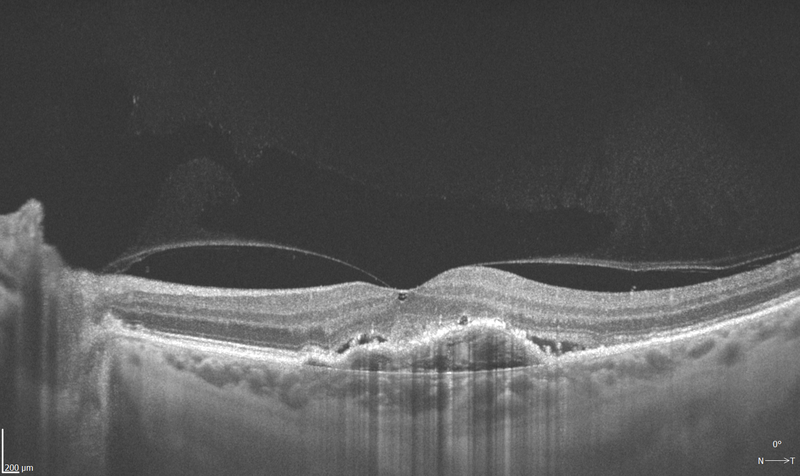 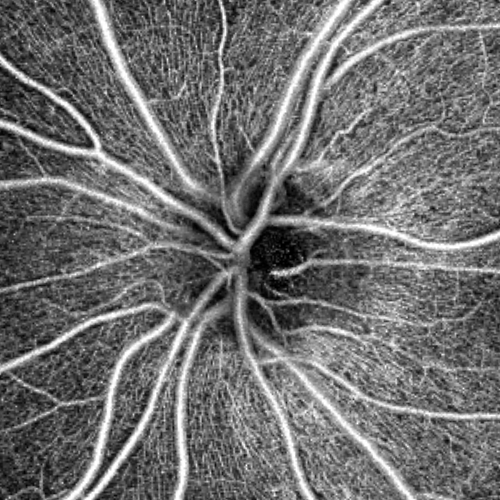 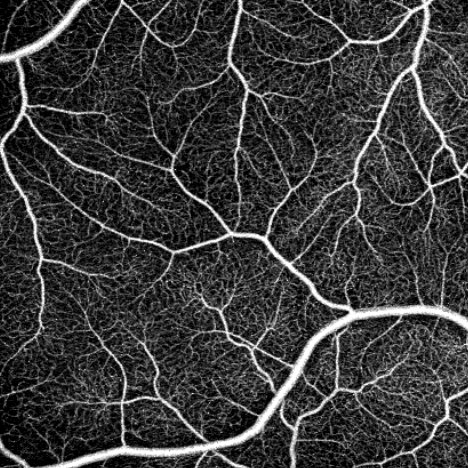 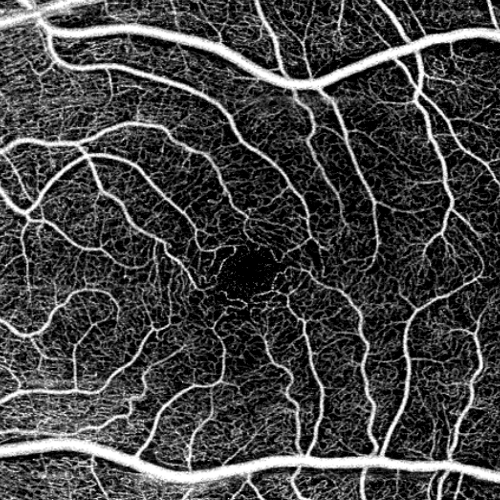 Angiography SOCT is a non-invasive, dye-free technique providing 3D image of retinal blood circulation. 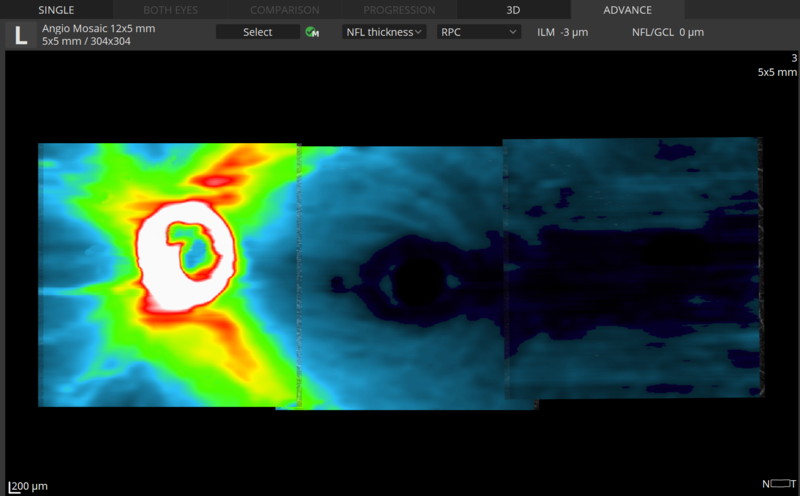 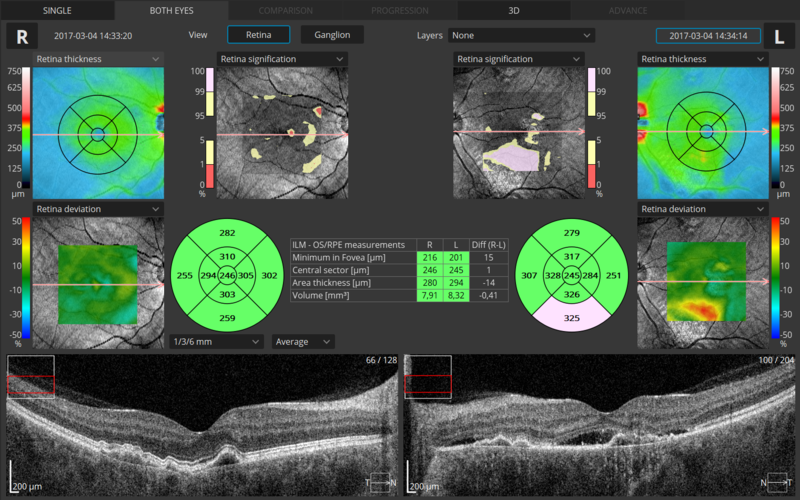 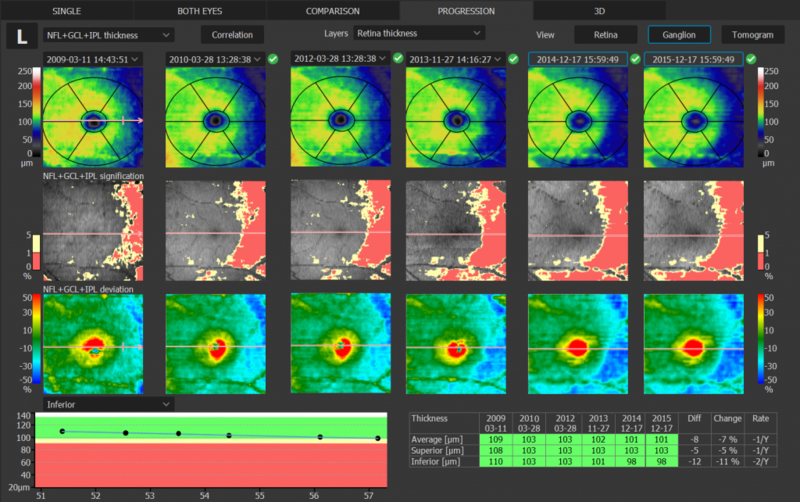 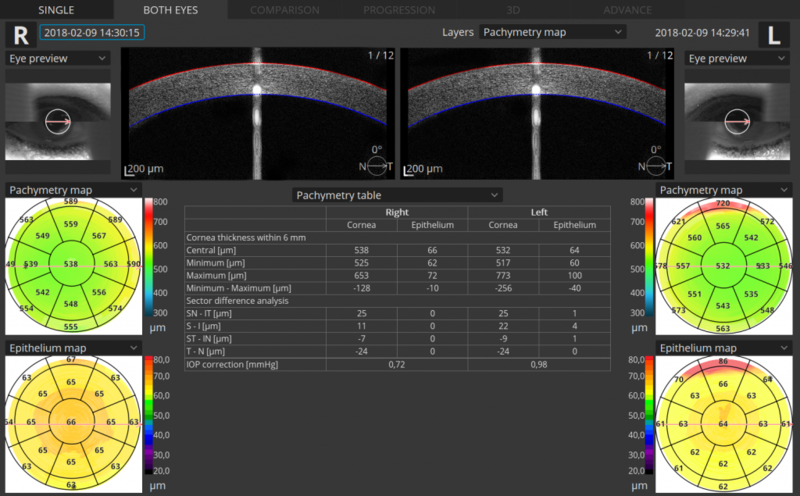 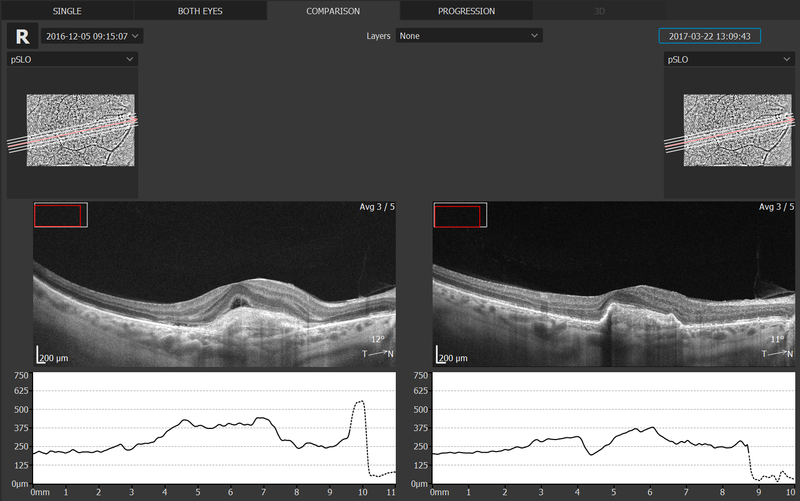 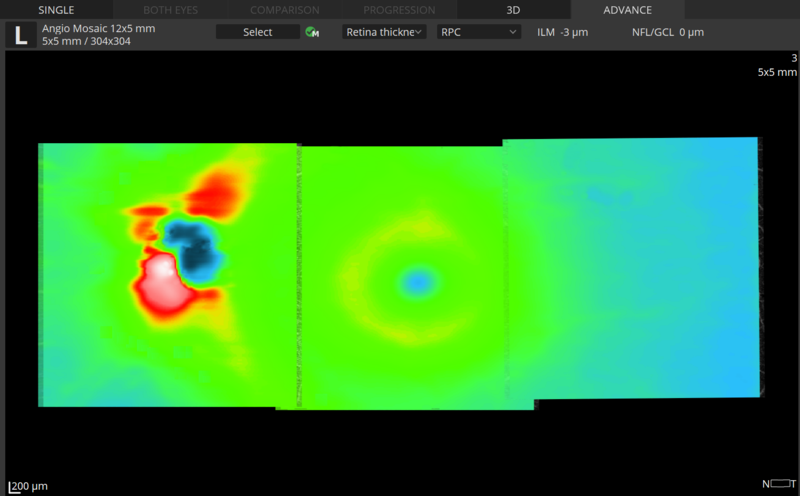 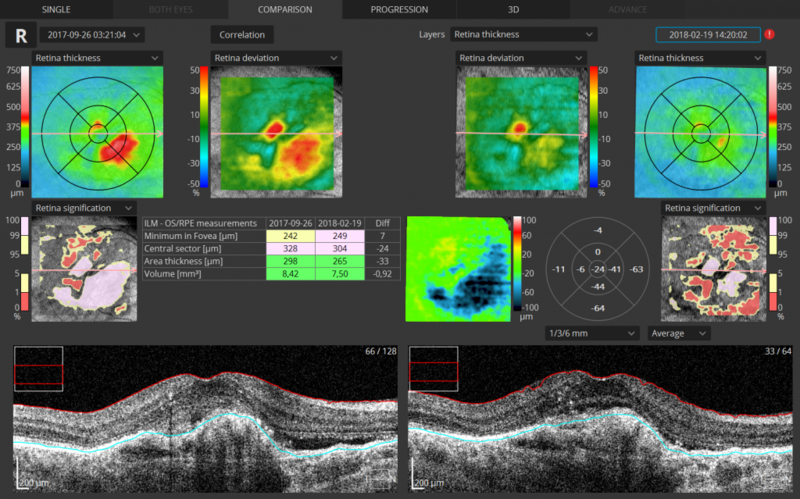 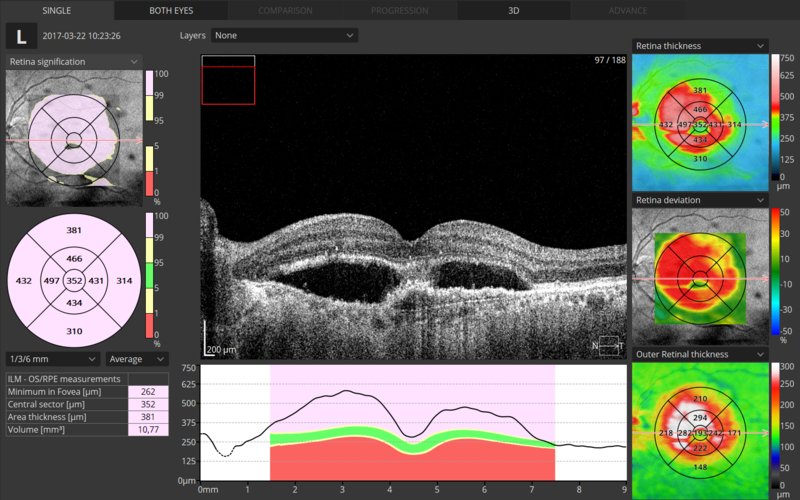 Advanced tab provides: view of any vascular layers, enface view of vascular layers, depth coded and thickness map. 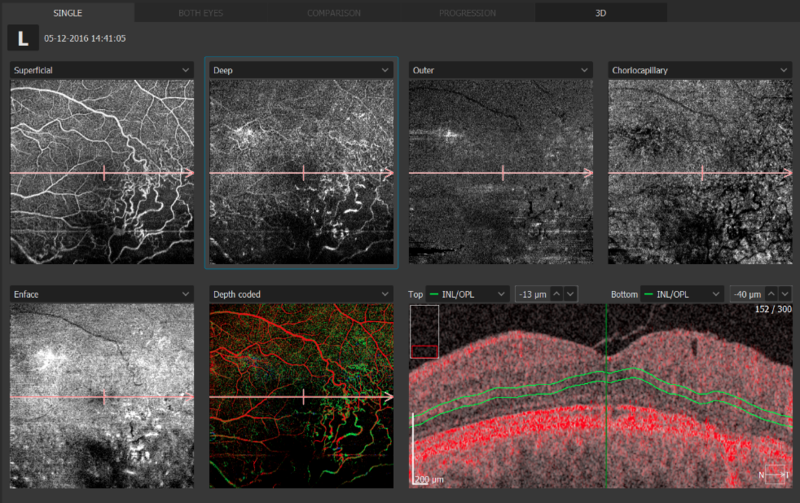 Mosaic modes: 10×6 mm, 12×5 mm, 7×7 mm, 10×10 mm and Manual (up to 12 images). 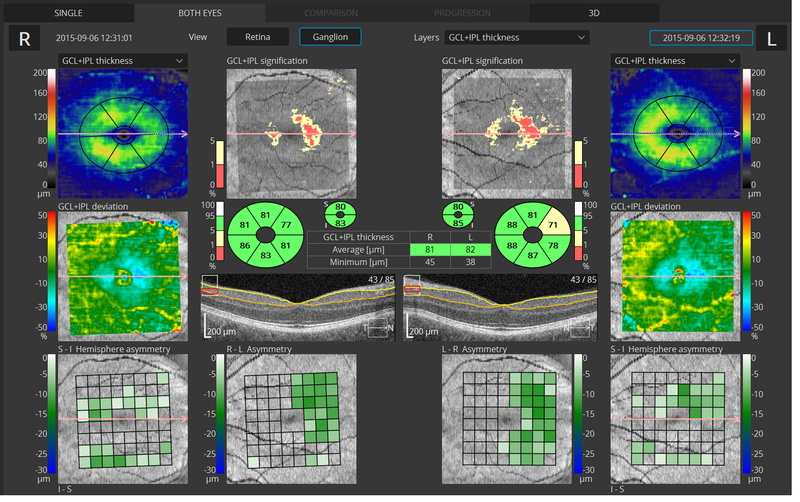 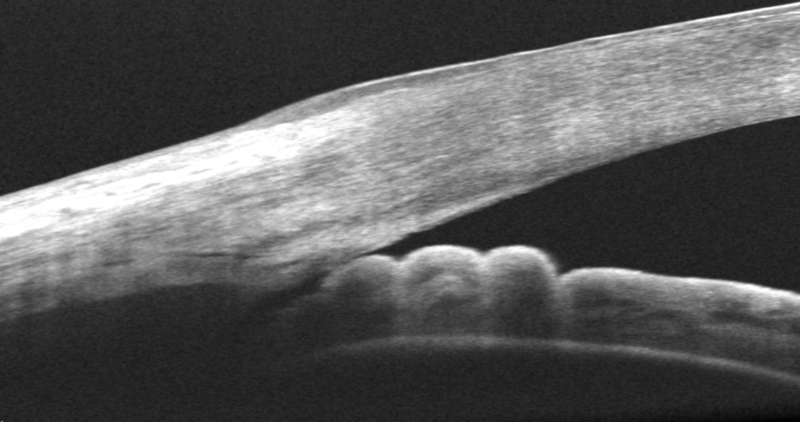 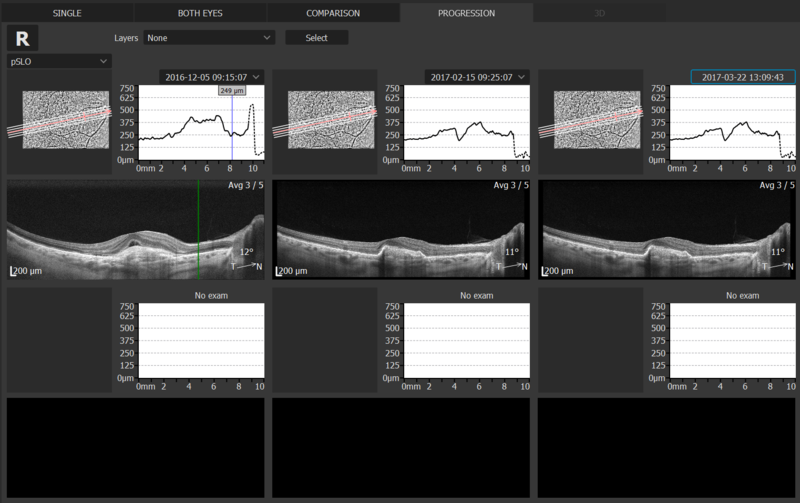 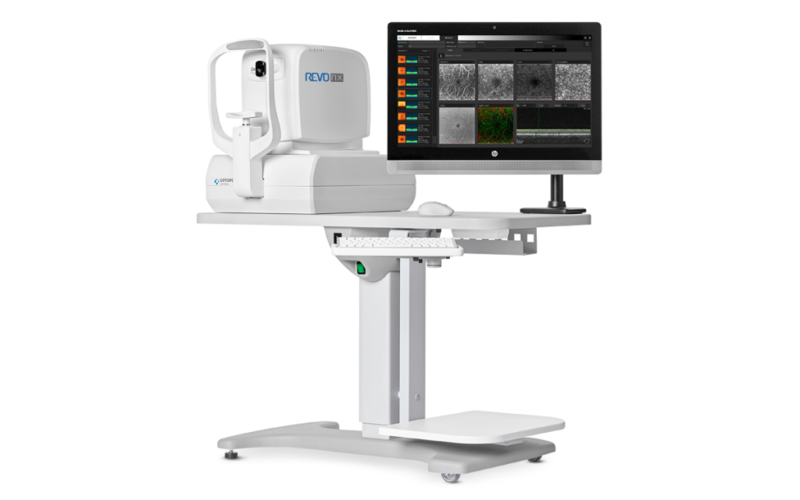 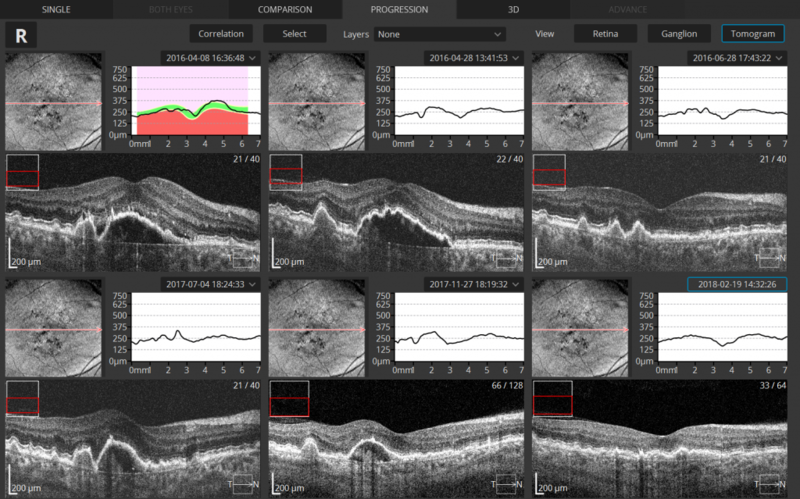 Comprehensive glaucoma analysis tools for quantification of Optic Nerve Head, Retina Nerve Fiber Layer, DDLS, Ganglion layer and Asymmetry. 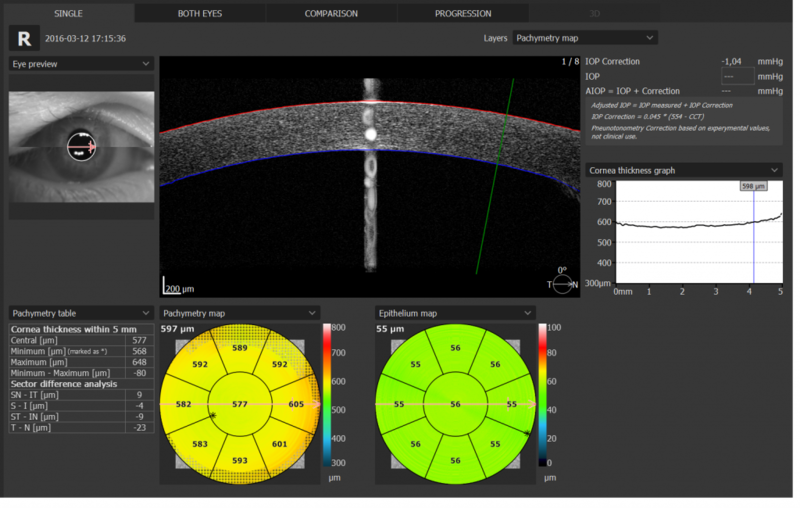 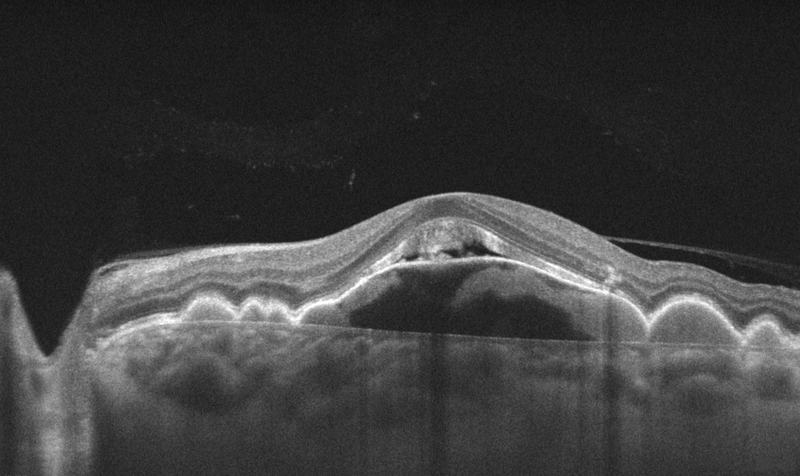 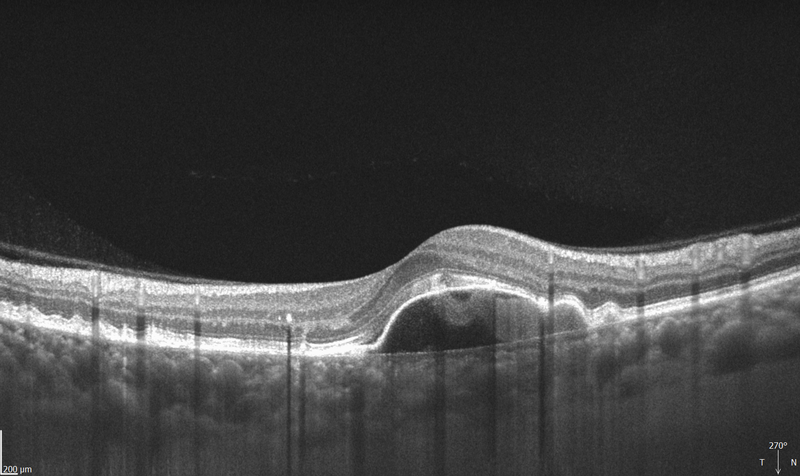 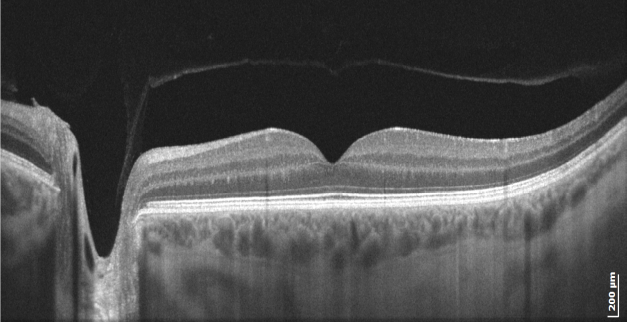 Innovative method of using the posterior OCT device to measure ocular structure along eye axis . 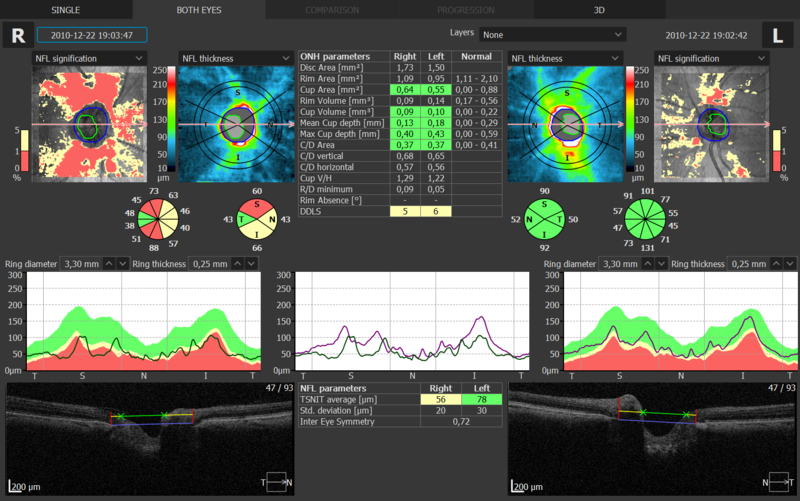 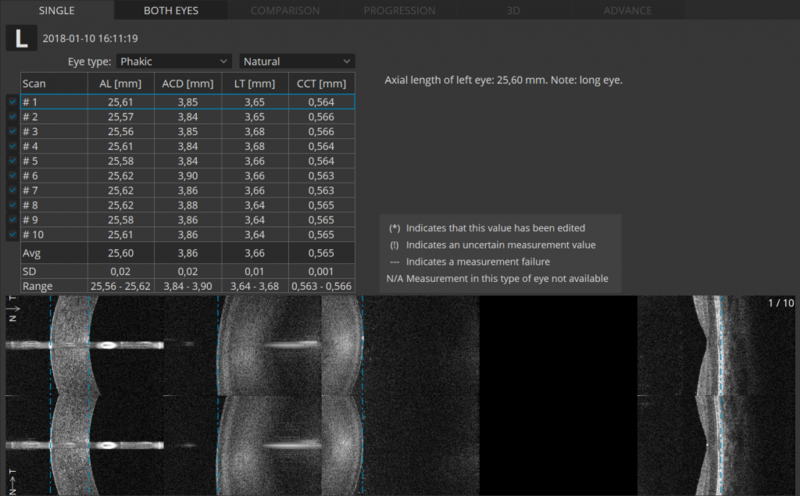 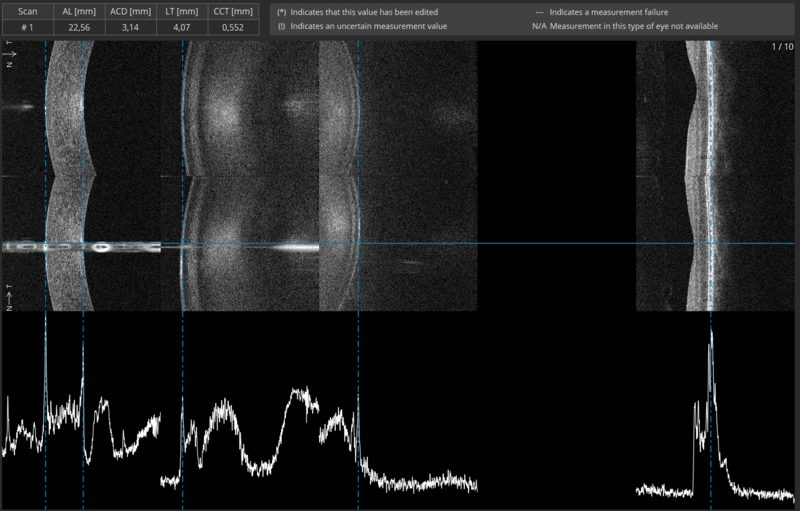 OCT-B based on measurements of the mutual position of individual eye elements. 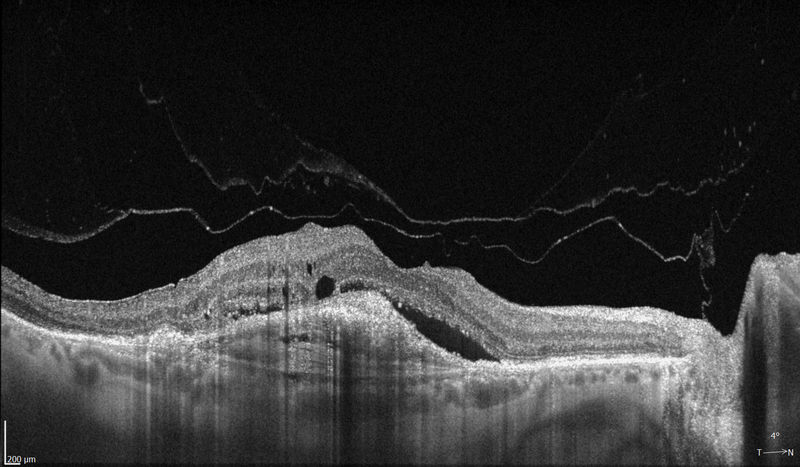 between structures of eye elements. 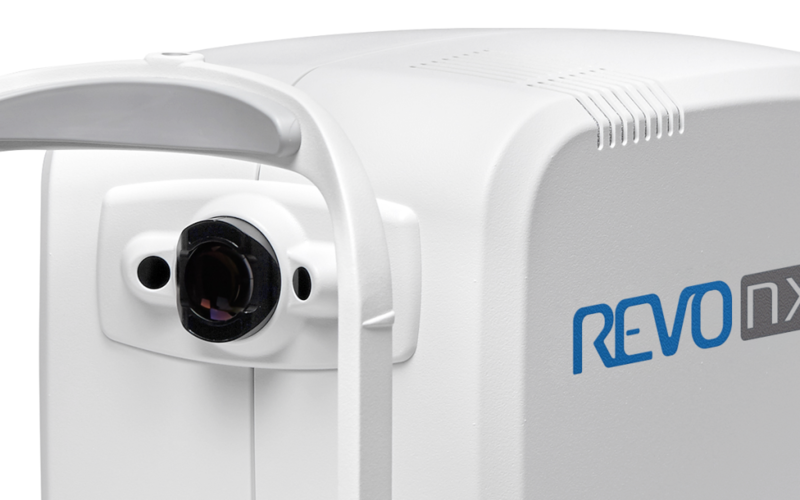 For full product features and specification please download the product brochure.